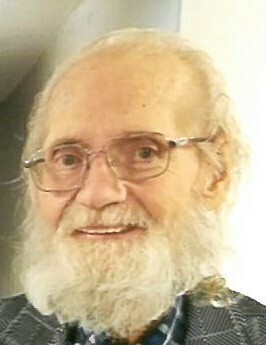 Daniel G. Schultz, age 84, of Sidney, Ohio passed away Sunday afternoon April 14, 2019, at his home. He was born in Milwaukee, Wisconsin July 14, 1934, to the late Gustav and Mable Mae (Amstutz) Schultz. Dan married Christine Dethlefson May 23, 1959, and she preceded him in death October 25, 2017. He was also preceded in death by a brother, James Schultz. Daniel is survived by a sister, Ruth Schultz of Columbus, Ohio; a brother, David (Jane) Schultz of Zanesfield, Ohio; sisters-in-law, Nedra “Sue” Schultz of Bellefontaine, Ohio and Sigrid (Jim) Conklin of Sidney; nieces and nephews, Scott Schultz, Christopher Schultz, Teresa Miller, and Jeff McConnell and many great-nieces and great-nephews. A graduate of Bellefontaine High School, Dan served in the United States Army and was stationed in Germany. He retired from Amos Press in Sidney after working there for many years. Dan was much more than just a husband, a brother and an uncle. He is a child of the living God! Dan gave his life to the Lord Jesus Christ. Because of that, we all can also be with Dan in heaven forever. Praise His precious name! Visitation will be held at the Eichholtz Daring & Sanford Funeral Home & Cremation Center in Bellefontaine Friday, April 19, 2019 from 11 A.M. - 1 P.M.
Scott Schultz, Dan’s nephew will officiate the funeral service Friday following visitation at 1 P.M. at the funeral home. Burial will be at the Bellefontaine Cemetery in Bellefontaine.